Great apart-hotel in a very good neighborhood. Not a typical touristic place, very close to Exhibition Center (15 min by feet). A lot of small shops and cafes within 100 meters from the hotel. It's has all what is required for an apartment. Restaurants and bar close by. Supermarkets just a stone throw from residhotel. It was home away from home. The location is perfect for us, who likes to walk and experience the city. It’s 20 mins walk to arc of triumph and you can really experience the city along the way. The hotel is comfortable. A place feels like a temporary home. Generous sized room. Kitchen facilities with some tea and coffee provided. 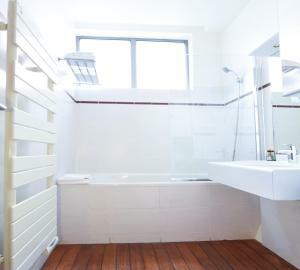 Small one room apartment that was quiet but near the Metro and monuments such as L'Arc de Triomphe and the Eiffel Tower. Lock in a great price for Residhotel Imperial Rennequin – rated 8.5 by recent guests! 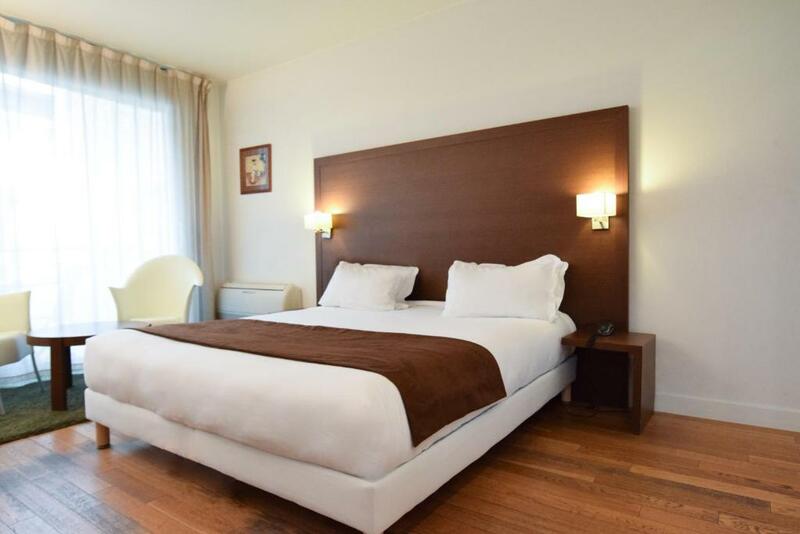 One of our top picks in Paris.Residhotel Imperial Rennequin is located in the heart of Paris just a 15-minute walk from the Arc de Triomphe and Avenue Champs Elysées. 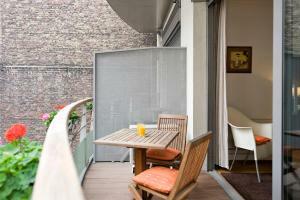 It offers modern and spacious studios with internet access and a balcony. Pereire Metro Station is 1,300 feet away and provides direct access to Opéra, Arts et Métiers Museum and the popular République Square. When would you like to stay at Residhotel Imperial Rennequin? 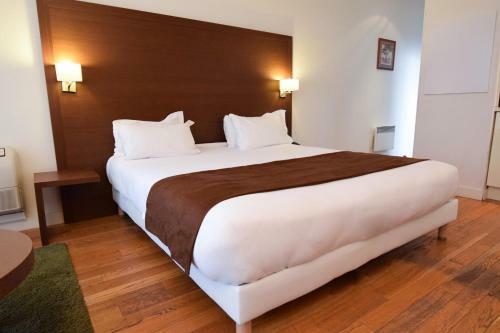 This studio can accommodate a maximum of 2 guests including children. A Nespresso coffee machine is available in each studio. All of these studios have a small balcony. These studios have large windows with views of a small garden and terrace. A Nespresso coffee machine is available in each studio. Area Info – This neighborhood is a great choice for travelers interested in shopping, romance and monuments – Check location Great location - show map Guests loved walking around the neighborhood! 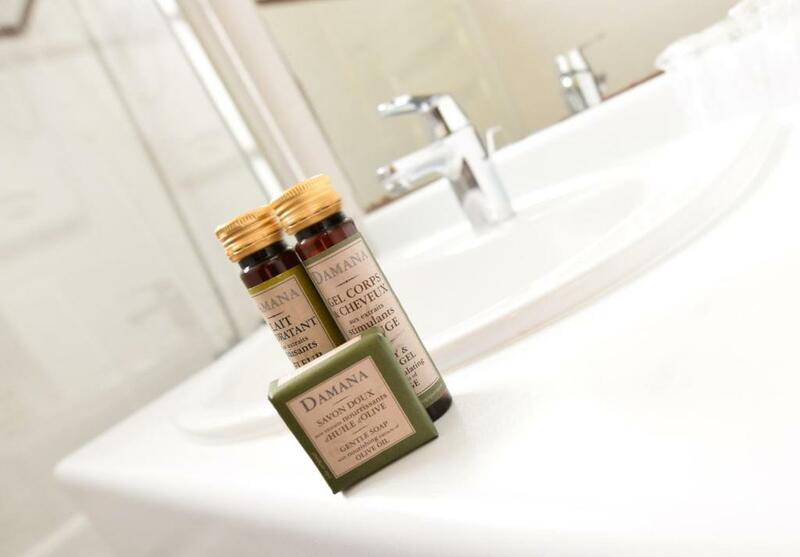 House Rules Residhotel Imperial Rennequin takes special requests – add in the next step! Residhotel Imperial Rennequin accepts these cards and reserves the right to temporarily hold an amount prior to arrival. If you plan to arrive after 20:00 from Monday to Saturday or after 18:30 on Sunday, please contact the hotel in advance to make arrangements. Contact details can be found on the booking confirmation. Concerning the rate for long stay with 30 % deposit, please note that the deposit will be charged at reservation and will be refunded if you cancel more than 10 days before arrival. For the 100 % nonrefundable rates, the total amount will be charged at reservation as well. When booking 5 rooms or more, please note that a prepayment may be required. If the room come with laundry machines could be even better. Also, some pans are a bit rusted, maybe need to replace new ones. A smaller saucepan (that would have fitted on the hob), along with a ‘better hairdryer’ would have been really good!! Great location for metro and RER, very quiet, felt very safe, shutters on windows and a balcony! 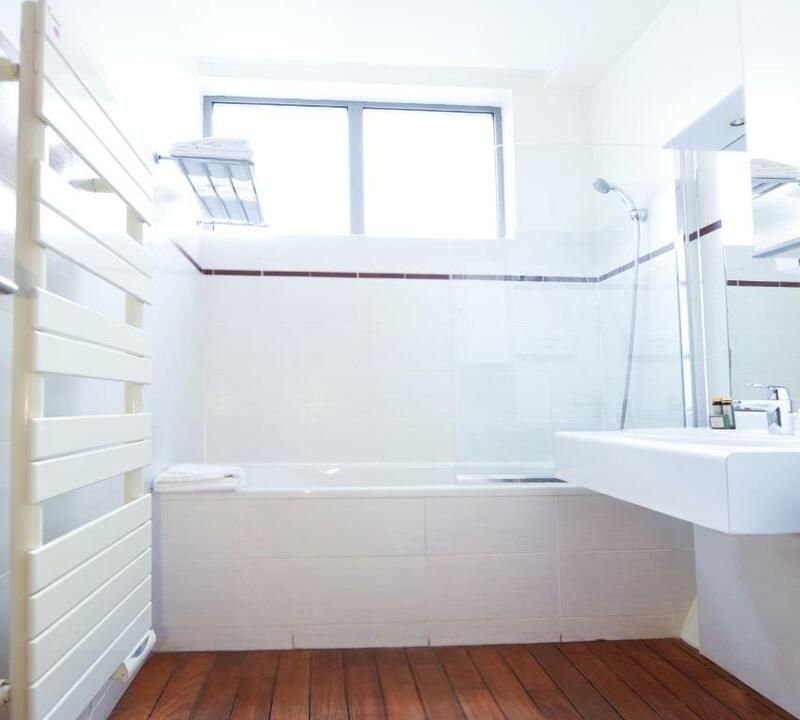 Good facilities inside apartment including Nespresso machine and dishwasher. Plenty of variety of patisseries, restaurants and bistros within 10 mins walk & a supermarket round the corner! Entry after 8 p.m not possible - it is put off. Entry instructions shouls say "key marked button" instead of "key button"
We occupied a spacious miniapartment on the third floor of the building facing the backyard. It was very quiet and comfortable. It had all we needed: two separate beds, a small cozy sofa, a kitchenette with everything necessary for quick food making (even a dishwasher), quite a large bathroom with a bathtub, a shower and a sink. 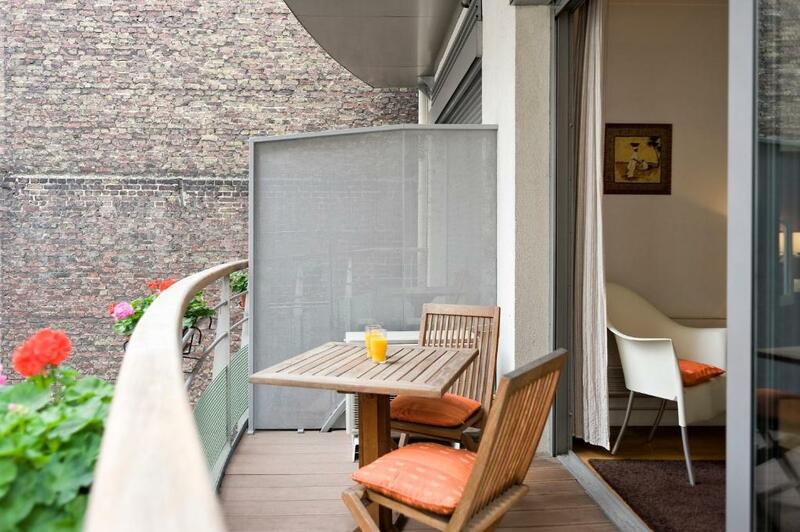 And of course, a huge balcony (I'd rather call it a terrace) with a wooden table and chairs. It was a must for us as we are smokers. The staff are all really nice and helpful people. 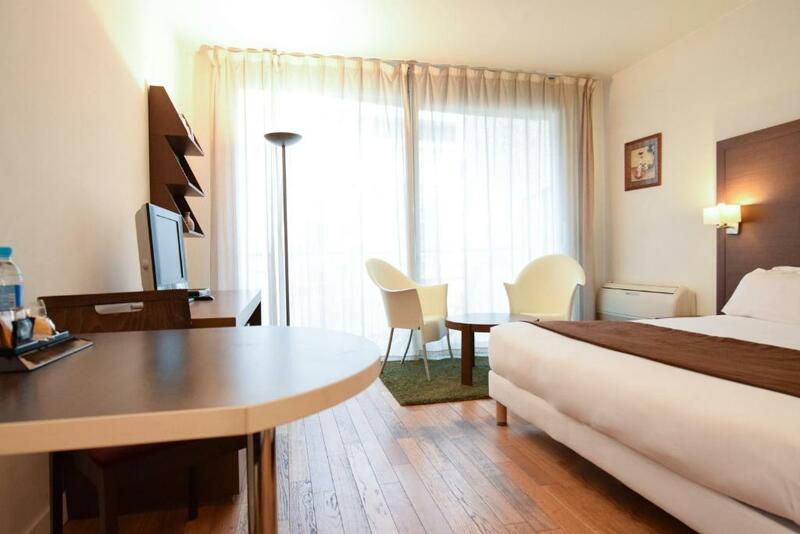 The hotel is located seven minutes walk from the underground station Ternes - very convenient to get around the city. The neighborhood is pleasant to your eyes: refined architecture, shops and cafes. You can sit in a nearby café with a cup of coffee and a cigarette and feel that unique atmosphere of Paris not even going to the center always overcrowded with tourists. We were really happy to stay there. We stayed there for 4 nights. Generally our twin room was very clean (free service-cleaned everyday) and had comfortable beds and pillows. It was large with natural light. The first day we were given a room on the ground floor (without natural light and good view) and but then they changed us to the 3rd floor with a bit more of view. Walking distance to the metro station (line 2 -station Ternes, or line 3-station Pereire) and easy for bus to Arch de Triomp (bus 92) (we had an amazing climbing up to Arch de Triomp around 10pm and still had the bus back to the hotel after). Walking distance to a nice Chinese restaurant and some other French ones. The staff were very helpful and nice. Their taxi to airport was of good price.